Technology has recently provided us with some great tools that allows virtual meetings to be held anywhere, on any device. 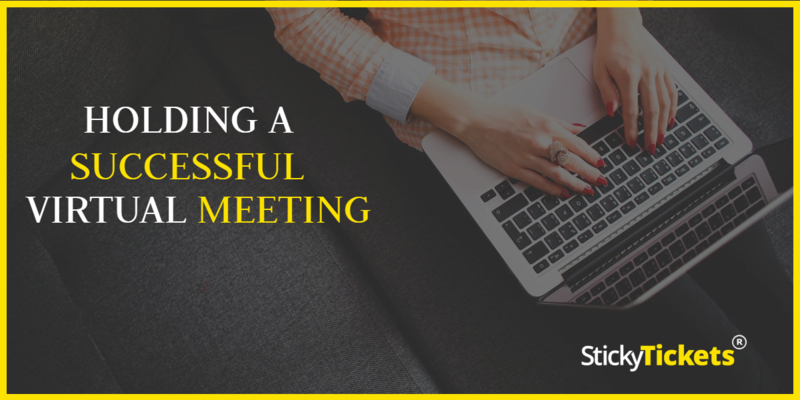 Virtual meetings have many advantages- you can manage meetings effectively from wherever you are, it is more convenient, it increases efficiency as there is no down time for travel etc, and there is also a reduction in administrative costs. Prepare!!! It is vital that you put enough preparation in beforehand to ensure there are no gaps or silences where you are trying to gather your thoughts. Depending on the type of meeting, you might like to ask for topic requests early on, then once you have come up with an agenda, send it out in advance so attendees know what will be addressed. Timing- Firstly, you need to consider the different time zones of employees/attendees to ensure that they can make the meeting. It is also important that you start the meeting exactly when you said you would- don’t wait for stragglers, it is not fair on the rest. Set a specific amount of time for each topic, then make sure you stay on track. If attendees speaking are also drifting off, bring them back on track quickly and politely. Finally, if you finish early- finish!!! There’s nothing worse than someone obviously filling in time, and it’s usually a pleasant surprise to get an early mark…. 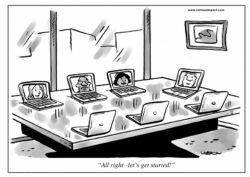 Minimise distractions- The lack of in-person interaction in virtual meetings can sometimes cause issues and allow attendees to get sidetracked. Plan your meeting to be as interactive as possible, involving attendees and asking for their input. It can also be better using video for the meeting, as it can result in better communication, more interest, and better engagement. Slideshows and exciting visuals can also be used to keep interest levels up. At the start of the meeting, state the objectives and what the attendees will come away with- if they are aware of the results and the benefits, they are more likely to stay tuned in. Set some guidelines- It may be necessary for you to set some ground rules before you start, or to include them in the information and agenda sent out earlier. Firstly, it seems obvious, but everyone must be treated with respect. Differing opinions are OK, however it is not OK to make it personal. Some other guidelines you might like to mention are to make sure there is no background noise, do not make your responses too long, and say your name when you are speaking. If attendees go off track quickly bring them back in to keep everything running smoothly and to schedule. You also need to avoid the same one or two people dominating, and try and include others as well. 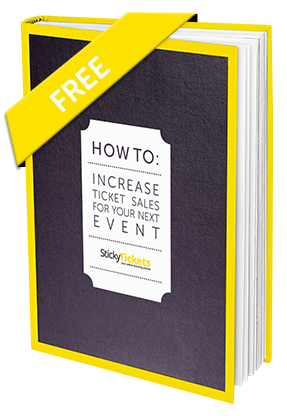 Registering for your event- whether your event is free to attend and guests just need to register, or if you are selling tickets, you can set up your event page quickly and easily on Sticky Tickets. Provide all the information to your guests, brand your page, get your guests to register or buy tickets, all by going to your event page with it’s unique URL. You can include images or videos to create interest, and the only thing to remember when setting up your event is to enter ‘Your Place’ or ‘Wherever you Are’ in the location box. Virtual meetings can be great for business by reducing costs and vastly increasing your market. Take some time to prepare though, to ensure success. Half way through your meeting or at an interval, ask for feedback on how things are going so far, and incorporate this into the rest of the meeting. Also, just as with any event, you should always email and ask for feedback so you can evaluate your meeting and make it ‘virtually’ perfect next time! !